Taverne Sarbului offre beaucoup de place pour les camions et les campeurs de rester toute la nuit ! J’ai payé 6 € pour une nuit avec mon camping-car. C’est directement sur la rue principale, donc pas très calme ! Mais c’est ok ! Ils offrent des toilettes et l’électricité. 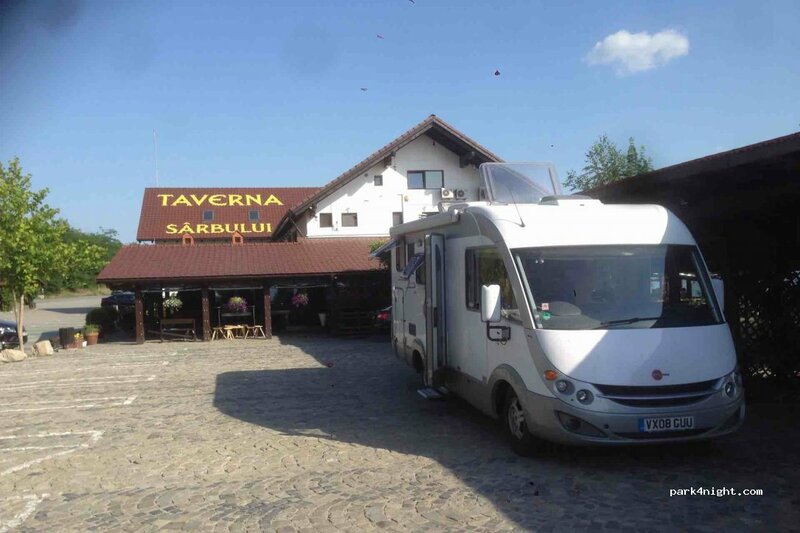 Taverna Sarbului offers a lot of place for trucks and campers to stay over night! I payed 6€ for one night with my camper van. It's directly at the Main Street, so not very quiet! But it is ok! They offer toilets and electricity! Es un aparcamiento de camioneros. Como esta el motel tiene wifi, cafeteria y restaurante. Aparte, en otra caseta, tiene duchas para los camioneros. 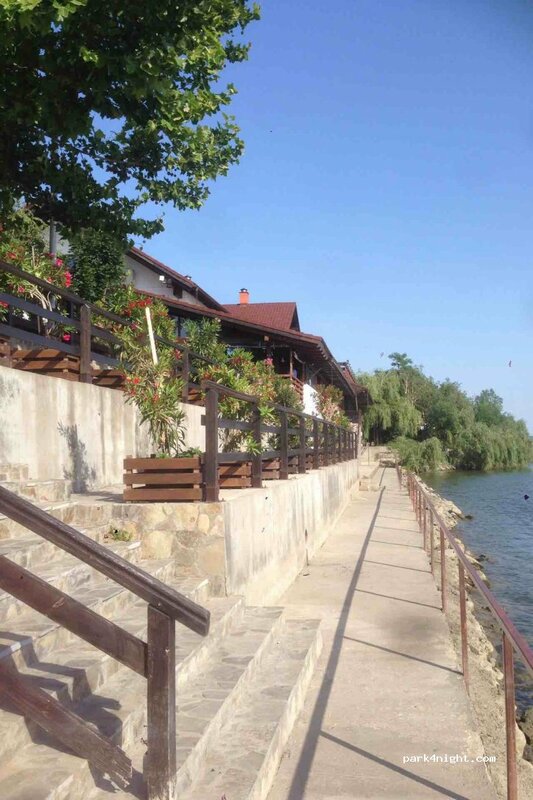 Handy spot for transiting Romania. Very noisy as close to main road and train. Park on right hand side in front of shaded car spots for electric. €7 with _€5 without.